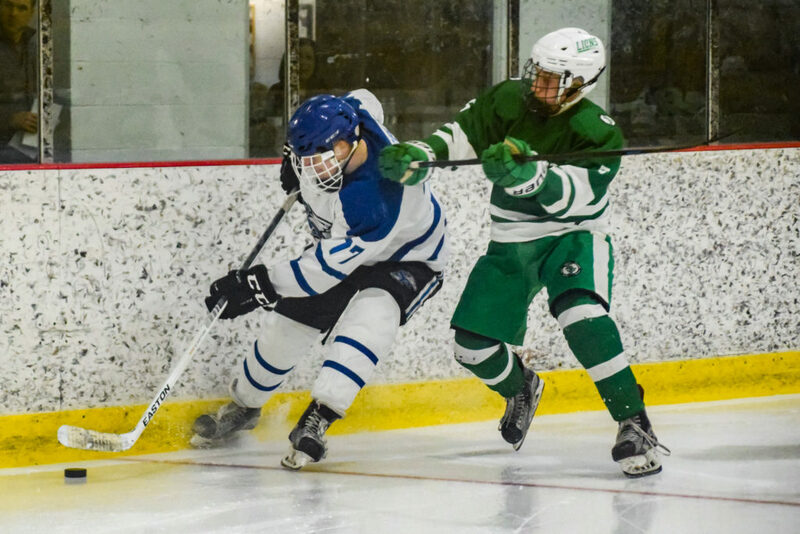 CASTLE SHANNON, pa — The South Fayette Lions, looking to keep their stranglehold on the top seed of the South/East combined playoff bracket, defeated their rival South Park Eagles 4-1 on Monday night at Ice Castle. In a game that showcased each team’s speed, South Park snatched an early lead when Justin Mettrick put one past Lions netminder Bruce Hardman 5:04 into the first period. From there, it was all South Fayette. The Lions tied the game off the stick of Ian Kumar a few minutes later. Tristan Cribben added a goal 21 seconds in and teammate Ethan Szymanski netted his own goal six minutes later. Szymanski added the empty netter with less than two minutes to go to seal the victory and move his team to 14-2 on the season.